She recieved her Bachelor of Arts Degree in Social Studies from Harvard University, her Master of Arts in Administration, Policy Analysis, and Evaluation from Stanford University’s School of Education, and a Master of Education and Ph.D. in Higher Education and Organizational Change from the University of California Los Angeles Graduate School of Education. Nuñez is currently an associate professor of Higher Education and Student Affairs Program in the Department of Educational Studies at the Ohio State University. She also serves as an Associate Editor of The Journal of Higher Education and an Associate Editor of Higher Education: Handbook of Theory and Research. Her research explores how to broaden participation for historically underrepresented groups, including students and faculty, in postsecondary education. One line of her scholarship has focused on the higher education experiences and trajectories of Latino, first-generation, and migrant students. Another has emphasized institutional diversity in the United States, including the role of Hispanic-Serving Institutions in promoting college access and success. A third has focused on fostering supportive organizational climates for faculty and administrators to advance inclusivity in the academy. Her research has been published in several journals, including Educational Researcher, Harvard Educational Review, and the American Educational Research Journal. 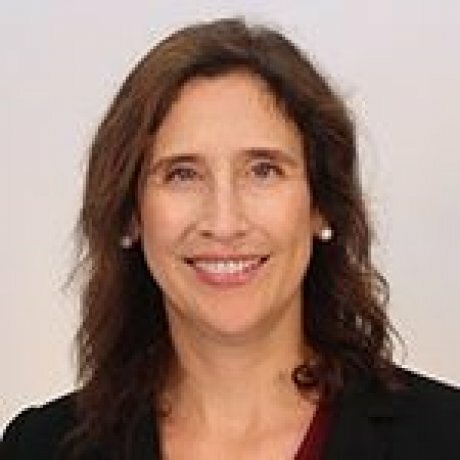 She is also the lead author of the book Latinos in Higher Education and Hispanic-Serving Institutions: Creating Conditions for Success (2013, Jossey-Bass) and the lead editor of the award-winning book Hispanic-Serving Institutions: Advancing Research and Transformative Practice (2015, Routledge). For her contributions to research on underrepresented groups, she received the 2011 Association for the Study of Higher Education (ASHE) Council on Ethnic Participation Mildred Garcia Exemplary Scholarship award. “A Phenomenology of Transfer: Students’ Experiences at a Receiving Institution.” With Jeffrey Yoshimi. Innovative Higher Education (2016): 1-15. “Where is the Research on Community College Students?” With Gloria Crips and Vincent D. Carales. Community College Journal of Research and Practice 40.9 (2016): 767-778. “Beyond Critical Mass.” With Elizabeth T. Murakami. In Culturally Responsive Leadership in Higher Education: Promoting Access, Equity, and Improvement (2015): 136. Anne-Marie Nuñez, Sylvia Hurtado, and Emily Calderón Galdeano, Eds. Hispanic-Serving Institutions: Advancing Research and Transformative Practice. London: Routledge, 2015. “Weaving Authenticity and Legitimacy: Latina Faculty Peer Mentoring.” With Elizabeth T. Murakami and Leslie D. Gonzales. New Directions for Higher Education 2015.171 (2015): 87-96. “Employing Multilevel Intersectionality in Educational Research: Latino Identities, Contexts, and College Access.” Educational Researcher 43.2 (2014): 85-92. “Understanding the racial transfer gap: Modeling underrepresented minority and nonminority students’ pathways from two-to four-year institutions.” With Gloria Crisp. The Review of Higher Education 37.3 (2014): 291-320. “Latina Faculty in the Labyrinth: Constructing and Contesting Legitimacy in Hispanic Serving Institutions.” With Leslie D. Gonzales and Elizabeth Murukami. The Journal of Educational Foundations 27.1/2 (2013): 65-89. “Building a Multicontextual Model of Latino College Enrollment: Student, School, and State-Level Effects.” With Dongbin Kim. The Review of Higher Education 35.2 (2012): 237-263. “The Demographic Dividend.” With Elizabeth Murakami-Ramalho. Academe 98.1 (2012): 32-37. “Ethnic diversity and Latino/a college access: A comparison of Mexican American and Puerto Rican beginning college students.” With Gloria Crisp. Journal of Diversity in Higher Education 5.2 (2012): 78-95. “Counterspaces and Connections in College Transitions: First-Generation Latino Students’ Perspectives on Chicano Studies.” Journal of College Student Development 52.6 (2011): 639-655. “Latino Access to Community Colleges and Hispanic-Serving Institutions: A National Study.” With P. Johnelle Sparks and Eliza A. Hernández. Journal of Hispanic Higher Education 10.1 (2011): 18-40. “Latin@ advocacy in the hyphen: faculty identity and commitment in a Hispanic-serving institution.” With Elizabeth Murakami-Ramalho and Kimberley K. Cuero. International Journal of Qualitative Studies in Education 23.6 (2010): 699-717. “Pedagogy for Equity: Teaching in a Hispanic-Serving Institution.” With Elizabeth Murakami Ramalho, and Kimberley K. Cuero. Innovative Higher Education 35.3 (2010): 177-190. “A Critical Paradox? : Predictors of Latino Students’ Sense of Belonging in College.” Journal of Diversity in Higher Education 2.1 (2009): 46-61. “Establishing a College Culture in Secondary Schools Through P-20 Collaboration: A Case Study.” With Karen McClafferty Jarsky and Patricia M. McDonough. Journal of Hispanic Higher Education 8.4 (2009): 357-373. “Latino Students’ Transitions to College: A Social and Intercultural Capital Perspective.” Harvard Educational Review 79.1 (2009): 22-48. “Migrant students’ college access: Emerging evidence from the Migrant Student Leadership Institute.” Journal of Latinos and Education 8.3 (2009): 181-198. “Organizational Collaboration to Promote College Access: A P-20 Framework.” With Maricela Oliva. Journal of Hispanic Higher Education 8.4 (2009): 322-339. “Modeling the Effects of Diversity Experiences and Multiple Capitals on Latina/o College Students’ Academic Self-Confidence.” Journal of Hispanic Higher Education(2008). “Bridging the Gap: Academic Preparation and Postsecondary Success of First-Generation Students. Statistical Analysis Report. Postsecondary Education Descriptive Analysis Reports.” With Edward C. Warburton and Rosio Bugarin. Washington, D.C.: National Center for Education Statistics, 2001. “Mapping the Road to College: First-Generation Students’ Math Track, Planning Strategies, and Context of Support.” With Laura Horn. Washington, D.C.: National Center for Education Statistics, 2000. “Transition to College: What Helps At-Risk Students and Students Whose Parents Did Not Attend College.” With Susan P. Choy, Laura J. Horn, and Xianglei Chen. Journal of Institutional Research 2000.107 (2000): 45-63.